** Letters to Santa Claus is now available! 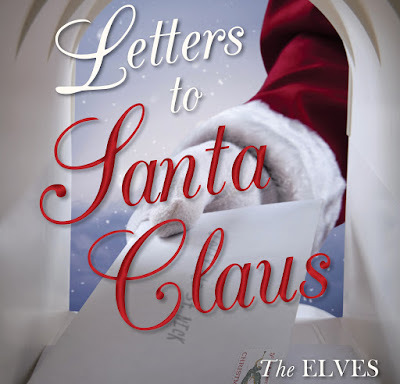 The Elves are thrilled to announce that a new book featuring over 250 letters to Santa Claus will be released in October 2015. 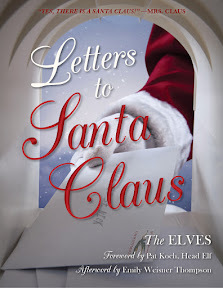 The book, entitled Letters to Santa Claus, is a dream-come-true for all of Santa’s merry helpers. This dedicated group of volunteers devote their time each Christmas season to help Santa answer every letter received in the Christmasy town of Santa Claus. Year after year, the Elves select their favorite letters to be archived at the Santa Claus Museum & Village. It’s a marvelous collection and while some of the letters are featured at the museum and on this website, their are thousands more just waiting to be enjoyed. 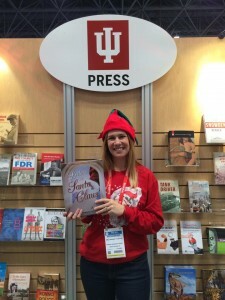 In December 2014, Indiana University Press approached the Elves about creating a book that would showcase many of these letters. The Elves, of course, jumped at the chance (well, sort of – Elves aren’t known for their jumping ability). Chief Elf and longtime Santa Claus, Indiana, resident Pat Koch composes the foreword, reflecting on her memories of the Letters to Santa program and the importance of preserving history. Emily Thompson, Director at the Santa Claus Museum & Village, writes the afterword, highlighting the history of the town and the story of Santa’s Elves. 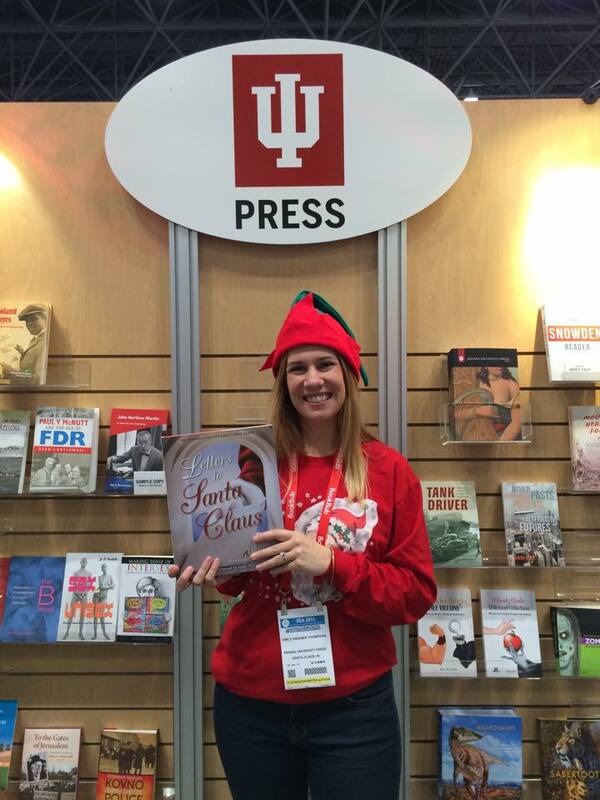 In between, the book features hundreds of letters that have been sent to Santa Claus, Indiana, over the past century. They were thoughtfully selected and the book contains many of the most humorous or touching letters the Elves’ have received. The book, which will be published by Indiana University Press in the fall, was recently featured at Book Expo America in New York City. Author Emily Thompson signed hundreds of pre-copies for interested fans and Indiana University Press did a fantastic job promoting the upcoming book. 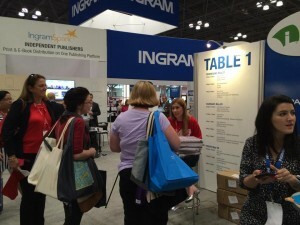 Keep checking for more updates and we promise to keep you posted!